SYTO (Student Youth and Travel Organization) offers universities and colleges everywhere a seeking to organize summer study abroad program in Ghana, a one-stop site for planning and implementing your study abroad program. As a professor or lecturer, you will find SYTO services especially useful if you wish to organize study abroad program without enrolling your students in Ghanaian universities and colleges during the regular school year or summer vacations. SYTO staff are highly experienced and flexible and can help organize study abroad programs for any period during the calendar or school year. We can work with you to develop a suitable study abroad program that fits your budget and scheduling needs as well. We have experience with both small and large student/youth groups from many countries around the world. We have a proven track record in bringing international youth and students to Ghana, and have worked with many colleges and universities in the United States since 2000. Help plan a detailed itinerary for activities and trips covering every day of your study abroad program. Arrange for pick-up of arriving members of your group at Kotoka International Airport. Make reservations for rooms that can be used as classrooms within and outside Accra. Assist with the recruitment of Ghanaian guest lecturers on subjects of interest to your students. Organize home-stay with Ghanaian families in and outside Accra according to your specifications. Organize for students to spend a day in a village or small town in Ghana and to meet traditional authorities such as queen mothers, chiefs, and local families. Make arrangements for participants in your study abroad program to meet and interact with Ghanaian students and youth. Make recommendations on possible sites for leisure activity in and outside Accra if you wish to include this in your study abroad program. Provide a SYTO resource person to help sort out any problems that you may encounter while in Accra. Provide a 24-hour contact for emergencies such as ill-health, dealing with local authorities such as the police if required. Draw up a contract that specifies what services SYTO will provide your university and what the costs will be. SYTO can also design program tailored to meet individual group and institutional needs on a flexible and efficient basis. Seminars consists of reading, discussion and paper writing. Coordinating Community Volunteers and non paid internship placements,Coordinating Hostel / Hotel and home stay placements. 24-hour contact for Emergencies, such as ill health, staff student relations etc. Summer Study Abroad Program, while designed to enable the student/participant enjoy his/her visit/experience in Africa, nevertheless seeks to provide opportunity for serious study as well. 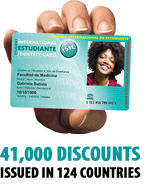 Upon completion of the study abroad program, students will receive a transcript indicating courses taken abroad, credit hours and grades. In cases where the home university is agreeable or for students arranging credits through their home institution, the credits so earned may be transferred to the students home university campus. To this end, lectures will require course participants to present class work, or take tests or examination for assessment purposes. General supervision of Summer Study Abroad Academic Program. Enlistment of lecturers/tutors from relevant University/Educational Institution/Research Center for specific courses. Responsibility for supervising curricula operation, selection of courses, registration for courses, lecture halls/auditoria, library/reading facilities, independent/field studies, assignments and grading by lecturers, also transcripts for dispatch to home universities. Generally, assisting students and lecturers with guidance to ensure that both academic and social issues are well taken care of. The On-site Program Coordinator is based at the SYTO branch office at the University of Ghana. He is responsible for all the logistical and administrative requirements of the On-site Academic Program Coordinator. Lecture rooms or halls would be organized for teaching purposes. Teaching styles includes seminars which consist of lectures, reading, discussions, paper writing and practical’s, supported by use of audio-visual aids. The program is open to all individuals, and universities. SYTO can also design an academic program tailored to meet institutional needs. We welcome group programs and will work with institutions to design an academic and cultural program that meet their needs. Students and recent graduates are encouraged to apply. For individual students, applications are screened on the academic interest and achievement. For others the sending organization or academic institution screens the applicants. Overseas institutions and individuals interested in SYTO Summer Study Abroad Program should contact SYTO through its mailing address for application form. These should be completed and returned to SYTO not later than 30th March. Overseas institutions and individuals interested in SYTO Study Abroad Programs should contact SYTO through its mailing address: gm@sytoghana.org for information on getting started with planning a successful study abroad program in Ghana. Overseas institutions and individuals interested in SYTO Study Abroad Programs should contact SYTO through its mailing address: studyabroad@sytoghana.org or gm@sytoghana.org for information on getting started with planning a successful study abroad program in Ghana.